How will you triumph when your heart is left trembling? To some degree, everyone experiences fear. It impacts the decisions we make and leaves us feeling helpless. 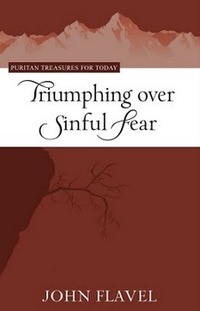 John Flavel begins this book by examining various fears and discussing general ways God governs it in this world. He then turns to sinful fear in particular, explaining its causes and disastrous effects. His longest chapter discusses rules for dealing with sinful fear, showing how a proper fear of God is the ultimate remedy for all other fears. This practical book will help you avoid making excuses for sinful fear and encourage you to trust in Christ’s commitment to settle His people’s feeble and trembling hearts.